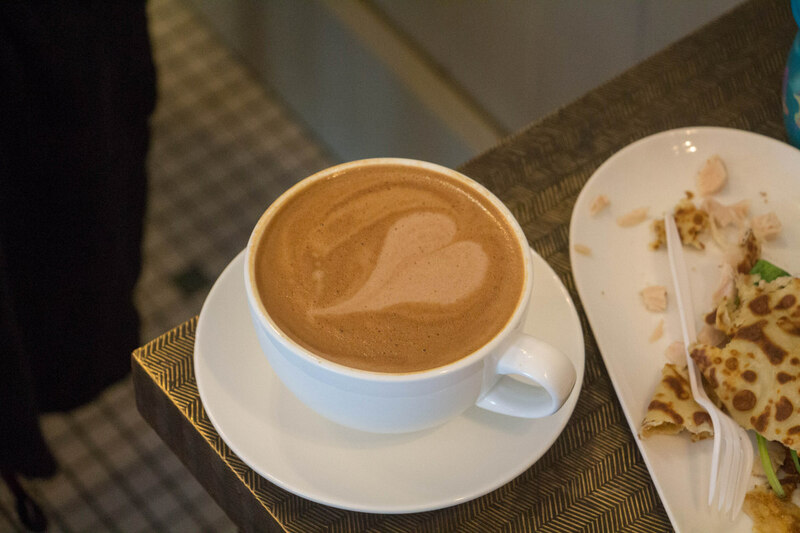 I recently discovered Elixir Espresso Bar and just loved the coffee and their home made crepes! I had to take a few minutes to share with you some of the drinks and food options available. 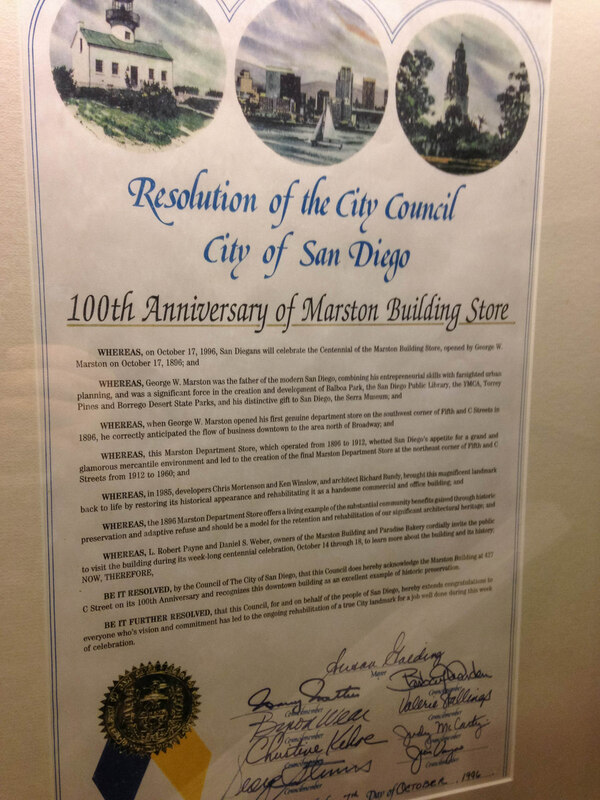 They’re located inside the Marston Building (a 100+ year old building) in the heart of downtown San Diego. The Gaslamp District, to be precise. They’re inside what used to be an old hotel building, but it is now a business and office building. Elixir may be best known for their crepes! 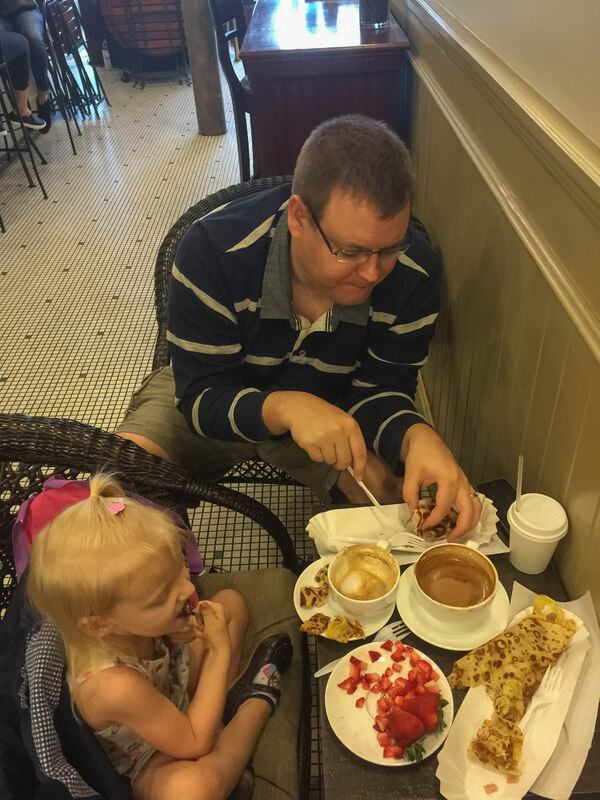 They have a variety, including both breakfast and dessert crepes. The breakfast crepe includes eggs, ham, and cheese. They have a turkey crepe that includes spinach. There’s also a bunch of sweeter crepes, like the strawberry and cinnamon crepe! You really can’t go wrong with these crepes, they’re all delicious! And, as a bonus, they’re big and filling. 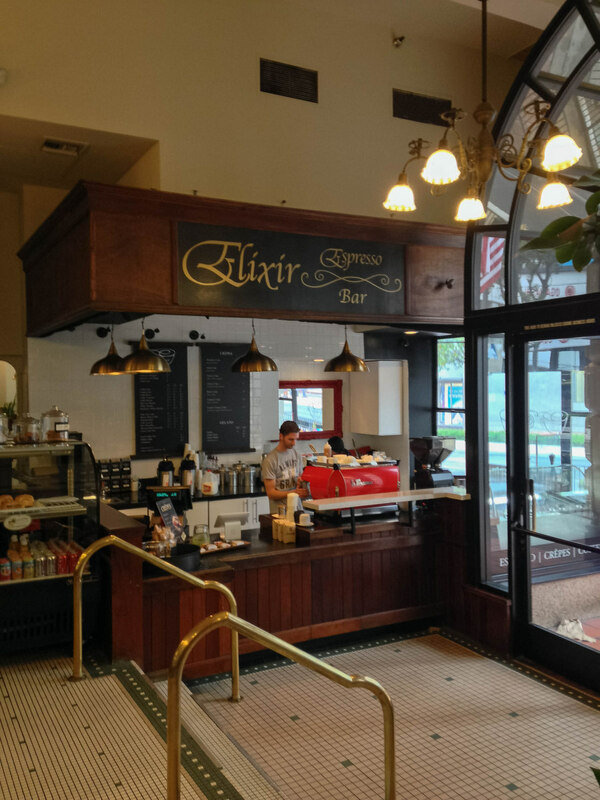 Breakfast options in San Diego can some times be tricky, and Elixir has proven to be a great option for visitors who don’t want to eat at a hotel restaurant. The coffee is also quite good! They can make any espresso-based drink you’d want, including cappuccino’s, macchiato’s, and lattes. They can also make a mocha, which can include almond-milk if you so prefer. They have a top notch Mexican mocha! They have a La Marzocco espresso machine that’s painted bright red. Other drink options, include fresh orange juice, Italian soda’s, and juice. Elixir basically occupies the lobby area of the old building they are in, and situated around the room are old photographs of the Marston Building from ages ago. Some have pictures of horses and wagons. There are plenty of chairs and tables. If you’re interested, there’s an old fashioned and still-working elevator that you can check out — the kind with a big cage. So, definitely check out Elixir the next time you are in San Diego, and let me know what you think! Elixir Coffee is located inside the Marston Building. 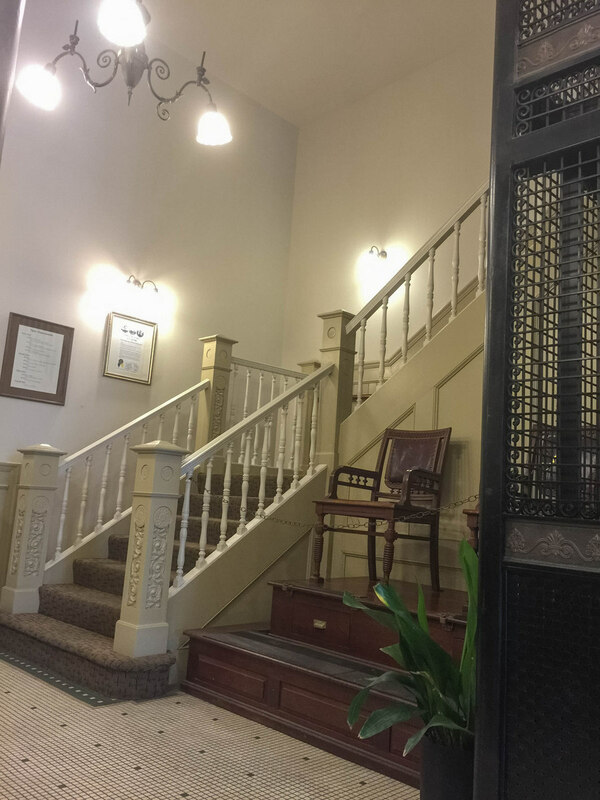 It is accessible via the city train system, bus, walking, or car. I don’t know where you’d park, but there are numerous downtown parking garages available. A designer that is bringing you awesome things to do in San Diego!